Here’s a great new Facebook freebie! 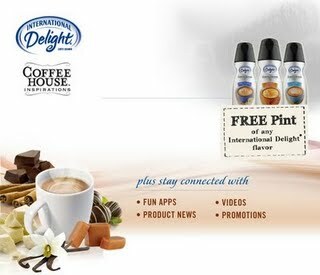 Click here to become a fan of International Delight on Facebook. After doing so, click on the coupon tab and then you’ll be able to print a SmartSource coupon for a FREE Pint of Any Flavor International Delight Coffee Creamer!